There’s a large Big Ten affair on Saturday at Camp Randall Stadium in Madison Wisconsin. 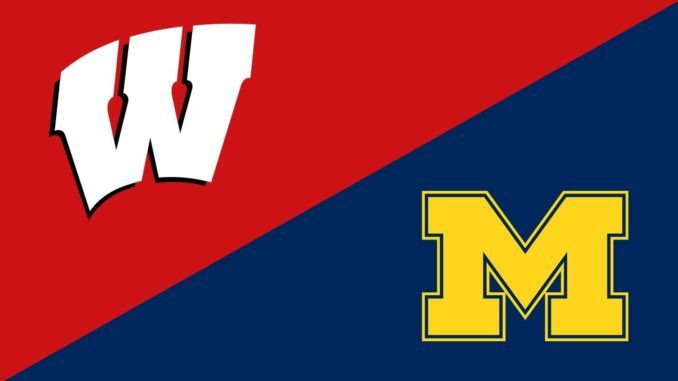 The Michigan Wolverines come to town looking to ruin the unbeaten season of the Wisconsin Badgers. Michigan will not be winning a national title this season, but can ruin a couple teams chances. The Wolverines finish the season with Wisconsin and Ohio State on their schedule. The Wolverines are 8-2. For Wisconsin, they are one of four teams remaining in College Football without a loss. The Badgers sit with Alabama, Miami and Central Florida as unbeaten. The Badgers are locked in on the Big Ten title game, but must finish the regular season first. The Badgers are coming into the game fresh off a blowout win over Iowa. The Wisconsin Badgers are -7.5 over Michigan. The Wisconsin Badgers are just going about their business and winning games. The Badgers have had just two games finish under double figures this season. Wisconsin beat Northwestern 33-24, and then downed Purdue 17-9. The Badgers are 3rd in all of College Football, allowing just 13.4 points per game. The offense has been in question all season for Wisconsin, but they are getting the job done. The Badgers are scoring 36.3 points per game. The lions share of the offense is coming via the ground game. Wisconsin is 18th in the country with 245 yards per game. The top threat on the ground for the Badgers is Jonathan Taylor, with more than 1,500 yards. The Michigan Wolverines would love to spoil the party for the Badgers, and likely the Big Ten. Wisconsin is not only unbeaten, but the only team with less than 2 losses in the Big Ten, so a loss here could keep them out of the playoff. Michigan has won three straight games since the road loss at Penn State. The other loss for the Wolverines came at home to Michigan State. The Wolverines are also getting the job done on the ground. Michigan is just behind Wisconsin with 208 yards per game on the ground. Karan Higdon has been the top running back, and he needs just 146 more yards to reach 1,000 on the season. Higdon also leads the team with 10 touchdowns. The Wolverines have an outside chance of finishing in a four way tie for the Big Ten East title, but most win both remaining games. This is terrible news for the Big Ten – but the Michigan Wolverines are going to spoil the conference plans. Michigan is going to win this game in Madison. The Wolverines and Badgers are going to see a battle on the ground, but the tougher Michigan team is going to come out on top. Wisconsin turns the ball over too much in their passing game, and that’s going to be the death of them here. Bet on the Michigan Wolverines +7.5 over the Wisconsin Badgers.